"But the best team, the best policies, the best advisers are not enough. I need your help. I need the help of the Australian people; and, given that, I do not for a moment believe that we should set limits on what we can achieve, together, for our country, our people, our future." I'm very busy with the Tasmanian election but a quick note that Gough Whitlam has easily won the final round of my Best Prime Minister Of The Last 45 Years Not-A-Poll. It's been a long road full of unexpected reversals and some comically foolish stack attempts but in the end the candidate who has generally dominated has won. Whitlam won the first four rounds (some narrowly) as various lesser lights were eliminated, and tied with Paul Keating in round five, but the final was a fizzer. Gough bolted to a fifty-vote lead in the early days, and while the percentage margin closed from then on in, the vote margin never did. In the end it was a very easy win with 60.2% two-candidate preferred; presumably the Gillard voters of previous rounds mostly switched to him. In the early days of this round I scanned the voting for anything suss, but since it became obvious Whitlam was going to win I've been less diligent, and in any case there have been no suspicious movements in the total. 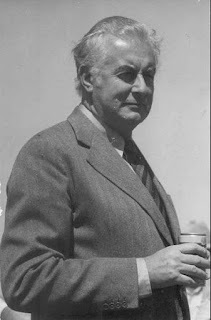 Whitlam was always going to be a contender as (the left-wing bias of this site's readerbase aside) his government had great reforming successes in its few turbulent years, hence his widespread reputation as the political father of modern Australia. As a reader mentioned in one of the earlier rounds, there was also no shortage of chaos and governance failure, so his position will forever be debated. As an ex-PM he carried his legacy with dignity despite the provocations of his contentious removal and hence became a living legend. (How a PM nurtures their legacy after leaving office has had quite a bit to do with some of the results here, in my view). Thanks all for the interest in this one; it has been quite a fun exercise. The second independent poll of the Tasmanian election campaign (now in its final week - see guide) is out and shows a 12-point lead to the Liberal Party over Labor, compared with the 15.8 point lead in the ReachTEL after redistributing "undecided" voters. This is a 12-point gain to the Liberals compared to the December EMRS (which showed the parties tied) and I believe that this is the largest poll-to-poll gain by a party in EMRS history. However, there are close similarities with the recovery of the Lennon Labor government from a seemingly majority-losing position in late 2005 to a winning one by the time of the March 2006 poll. The first independent poll of the Tasmanian election (see my main guide page) has been released and it confirms growing suspicions over the past few weeks that the Liberals will probably retain an outright majority, although it may well be a majority of one. Moreover given the historic tendency of ReachTEL to skew against Labor and to the Greens, the poll can be taken as suggesting that the Greens are in serious trouble and that none of their seats are safe. I am a little sceptical of whether that past pattern will continue. With six new federal polls released in 2018 so far it's time for another federal Poll Roundup, a series which I issue roughly every second Newspoll. As noted in a piece I did about second-term Opposition Leaders, the year began with widespread predictions of a painful year for Opposition Leader Bill Shorten and many people reading a lasting Coalition recovery into, well, a single Newspoll really. However it has taken the Coalition just two weeks to hit another speedbump in the form of a multi-faceted scandal involving Nationals leader Barnaby Joyce. The scandal, involving both his relationship with a staffer and various arrangements arising from it, escalated into an exchange of insults between the Prime Minister and his Deputy late last week. In all this Joyce's behaviour has been that of the ultimate entitled politician, who has even claimed that he himself would never comment on Liberal Party leadership matters when in fact he's been doing so, and frequently, for years. Some of Malcolm Turnbull's comments in response to Joyce's situation have agitated Joyce into retaliating and encouraged Tony Abbott supporters to do their usual thing. However, the idea that Joyce's lack of moral standards and spectacular political hypocrisy should cause the Liberals to replace their own leader with someone better able to work with such a person is ridiculous. The 2018 Tasmanian state election (see my guide) is three weeks away, but still we have had no neutral public polling in the state for over two months. In contrast, by this stage in 2014 we had had a recent public EMRS, a recent public ReachTEL, and also a Liberal-commissioned ReachTEL of which detailed results were released. All we've had this year is a dribble of internal polling snippets and one commissioned seat sample by the Australia Institute. This makes it rather hard to tell what's going on. The Hodgman Liberal Government, which appeared to be asleep or in a holding pattern for most of 2017, has been quick out of the blocks with a large number of policy announcements covering most (perhaps even almost all) of the many issues in play at this election. Insiders claim what they're doing (especially claiming there could be a return to a Labor-Green government) is working. Could it be a repeat of 2006, when a seemingly ailing government that was widely considered doomed to lose its majority in fact surged through the campaign and ended up winning very easily? While there are some differences between 2006 and 2018 in polling terms (especially the severe volatility of the late 2005 polls) majority government is a major issue for some voters, and a party that can establish that only it can win in majority has an important advantage. Is It Hard For Opposition Leaders To Win At Their Second Election? Especially after a benign opening offering from Newspoll, there's been a lot of speculation that Opposition Leader Bill Shorten is set for a nasty year. Shorten's net personal Newspoll ratings have been in the negative double digits for almost three years now - that's longer than any other Opposition Leader or PM in Newspoll history. While Labor's two-party-preferred polling has remained strong, a lot of left-wing voters see Shorten as too safe and uninspiring, while right-wing voters distrust his union background. Also, in pundit circles there is a lot of focus on Better Prime Minister scores, which Paul Kelly has called all-important in the Australian's usual ignorance of the historic evidence otherwise. There Shorten's failure to close the gap as much as Labor's 2PP leads suggest he should remains a focus of discussion. And it's not just wishfully thinking right-wing commentators saying Bill Shorten has problems. One betting market is saying it too, with Shorten $1.80 to be challenged for the Labor leadership before the next election (the "Rudd rules" notwithstanding), to $1.90 not. On Friday, Tasmania returned to its normal complement of Senators, having been down two since Stephen Parry and Jacqui Lambie resigned because of citizenship issues in November 2017. It's been a long strange trip which started with the possibility that Parry's special count might unelect Nick McKim. That was cancelled out when Lambie was also removed, only for two new issues to arise. The first concerned whether Lambie's #2 and #3 candidates, Steve Martin and Rob Waterman, were even eligible, and it turns out Martin is and wants the seat. The second, which is still to be resolved, is what happens with the Tasmanian term lengths, and I'll discuss this a little more below. A dramatic, if widely expected, event this week was that Jacqui Lambie announced that Steve Martin was being expelled from the party. To be precise she announced that "the management committee of the Jacqui Lambie Network has moved to expel you from the party". That has been universally taken that Martin has been expelled from the party, although it is capable of being interpreted as just saying that expulsion proceedings have been commenced. This is no great surprise after Lambie told Martin to give up the seat, and also threatened to expel Martin if he re-employed Rob Messenger (which Martin says he is not doing anyway). Outlook: No reliable data basis for predicting this seat. A by-election will be held for the Victorian seat of Batman in the near future after David Feeney became the first confirmed Labor casualty of the Section 44 citizenship fiasco. Feeney threw in the towel when he was unable to find any positive evidence that he had renounced his UK citizenship circa 2007. Some Labor insiders believe the seat is now unsaveable while some are more upbeat that they may just hold it. This could be the last time we'll be referring to the seat by the name "Batman". There's a significant campaign to rename it after Simon Wonga, but that won't be decided until the redistribution process concludes later this year. The heavy lifting by way of preview has already been done at Tally Room and Poll Bludger with their excellent by-election guides. The seat's dramatically split voting pattern was laid out by Michael McCarthy in his pieces (here's the latest) on the "hipster-proof fence" (aka Tofu Curtain, Great Wall of Quinoa, Corduroy Line) around Bell Street, which divides the Green-friendlier and Labor-friendlier sides of the electorate. Also of interest may be Kosmos Samaras' analysis of why Labor is getting trashed by the Greens in inner-city seats like the state seat of Northcote (the southern half of Batman) and (see also Tim Colebatch on this) what they can try to do about it. A convenient step-up in attacks on the proposed Adani coal mine in Queensland probably isn't it (at least, not by itself).